The next step up from the garage sale is the flea market fundraiser. Rather than having one vendor (you or your group), a flea market fundraising event can have as many vendors as your space allows. Your space in this case is not your yard or garage, but a local church or school parking lot. A flea market is like a bunch of garage sales grouped together in one place. Each seller or vendor has their own space to display their wares. But a flea market isn’t just for selling junk. Many vendors sell merchandise of all sorts: from arts and crafts to fresh produce. People are attracted to flea markets because of the variety of goods available and the ever-prized bargain. The vendors can offer their merchandise for a lower price than typical retail businesses because they only pay a small fee to the flea market organizers for a space to sell their wares. This is one way your fund raising group makes its money. Another way to earn money is to have your group set up its own booth and sell food or beverages to the crowds of hungry and thirsty bargain hunters. Try to get sponsors to supply the food or sell it to you for a reduced price. As with garage sale fundraisers, flea markets benefit from setting up in high traffic areas, so pick a school or church parking lot accordingly. Another advantage of flea markets for church fundraising or for any other group, is that you can run them more than once throughout the year. 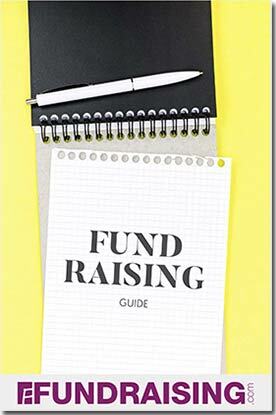 As you become more experienced and your fundraising event becomes more popular, you can increase the frequency to quarterly, monthly or even weekly. 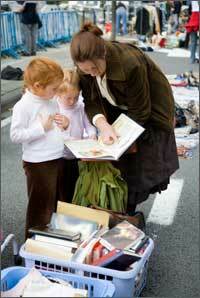 Some large, professional flea markets are open all year, rain or shine, even in places where it snows. Get this FREE KIT and earn more money. © 2017 CoolFundraisingIdeas.net. All Rights Reserved.